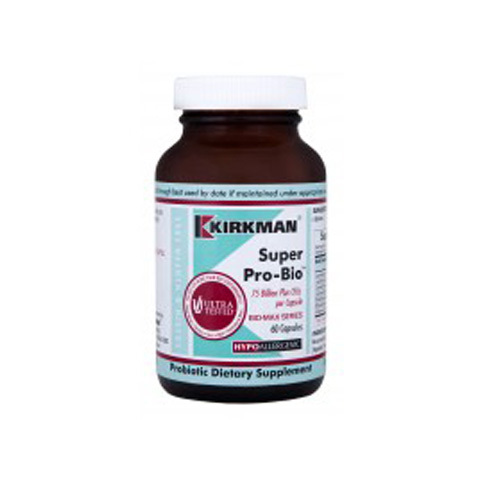 Super Pro-BioTM 75 Billion is Kirkman’s powerful broad-spectrum probiotic formulation containing seven strains of probiotic organisms that colonize and adhere to the gastrointestinal tract, thereby helping support GI health, good intestinal flora and immune system response. 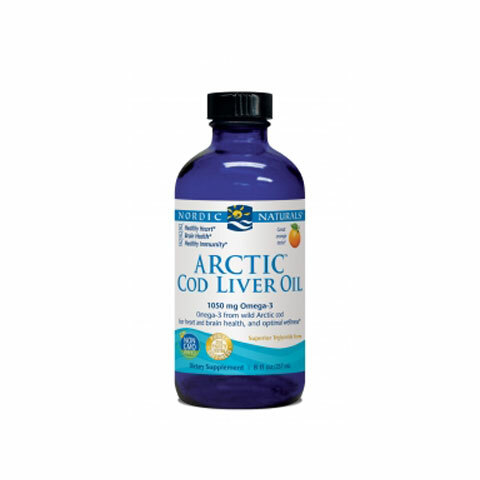 This formulation contains excess of 75 billion organisms, which makes it one of the most potent probiotic formulations available to the increasing number of physicians who use probiotic products to aid in gastrointestinal support. Super Pro-BioTM 75 Billion is in our Bio-Max Series of products that use many ingredients that have been clinically shown to be among the best absorbed. 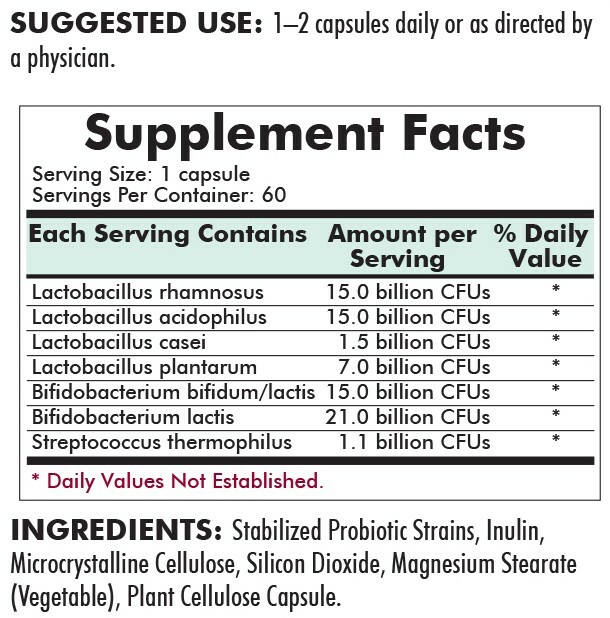 The probiotic strains in this product have been carefully chosen to offer maximum stability, maximum adherence and maximum long-term colonization. Four strains of Lactobacillus organisms, two strains of Bifido, plus Streptococcus thermophilus enhance the colonization aspect of Super Pro-BioTM 75 Billion.